Great source of protein that is enjoyable for lunch or dinner! Heat the olive oil in a skillet over medium heat; add the minced garlic and cook, stirring constantly, for 1 minute, making sure not to burn the garlic. 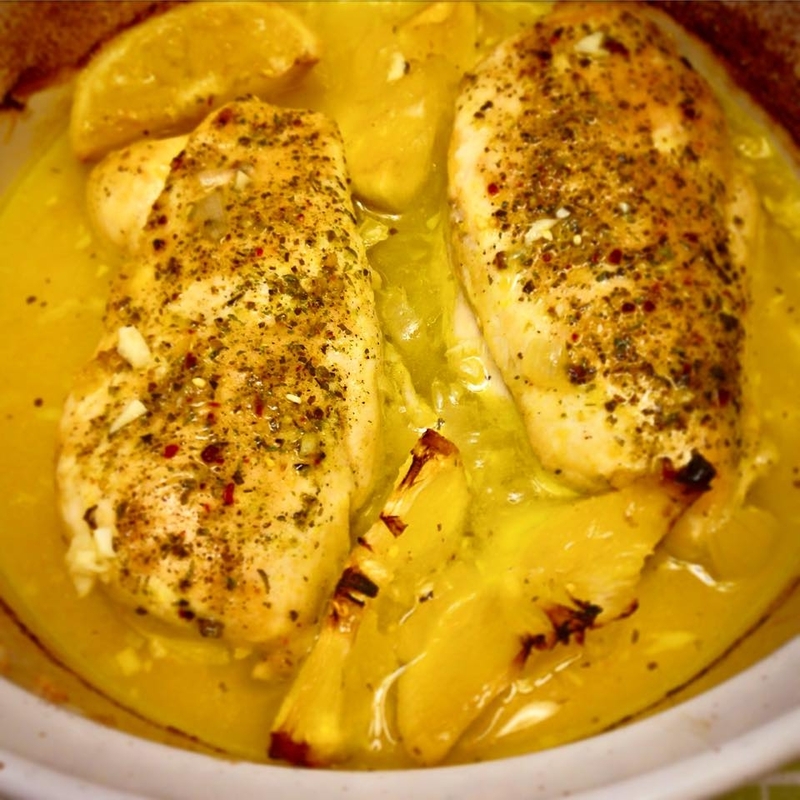 Add the chicken broth, lemon zest, lemon juice, and oregano to the pan. Pour the mixture into the baking dish. Season both sides of the chicken breasts with sea salt and freshly cracked pepper, to taste. Place the chicken in the baking dish along with the lemon wedges and the two sprigs of thyme. Place into the oven and bake, basting occasionally, for 30-40 minutes or until the chicken is cooked through and the juices run clear. Remove from the oven and let the meat rest for 5 minutes before slicing. Drizzle the pan sauce on top of the slices of chicken and serve. Enjoy!